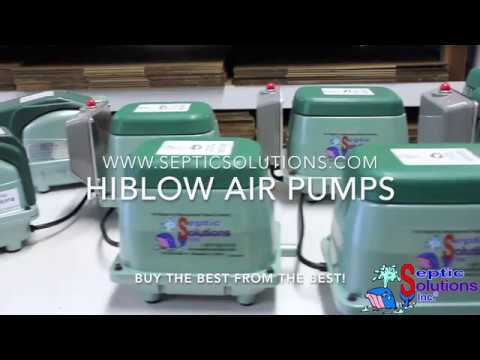 The Hiblow HP-150 Linear Septic Air Pump is used as an aerator on some 1000 and 1500 GPD aerobic treatment systems. The Hiblow HP-150 is extremely quiet and energy efficient. The operating life of this unit is among the best available on the market. The Hiblow HP-150 is a compatible replacement for the Gast SPP-150, Thomas 5150, and other 150 LPM units. This unit includes an attached alarm to signal air pump failure.